17 weeks and counting...There is a lot on my to do list! 7. 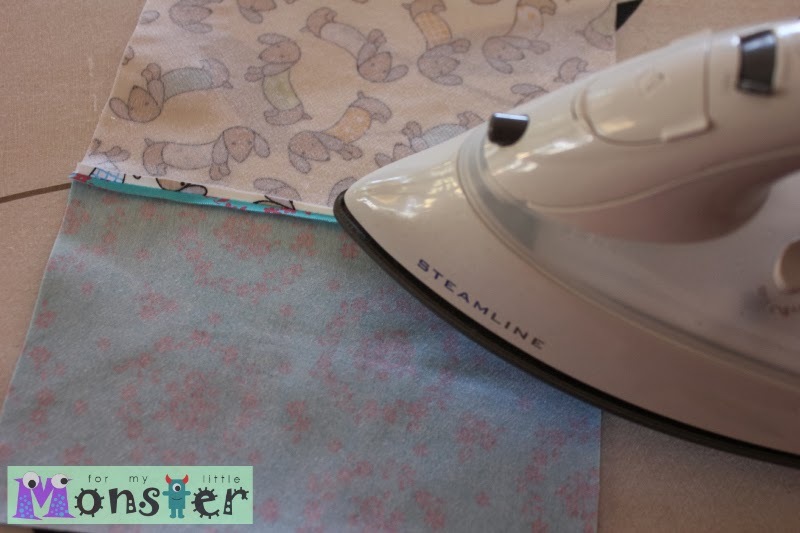 Make a tie dye diva vest for both the big and belly monsters - I think semi co-ordinated would be so cute! So, who feels like a little competition? I'm soon to find out the gender of the little belly monster...so who would like a guess? Is this baby a Boy or a Girl? 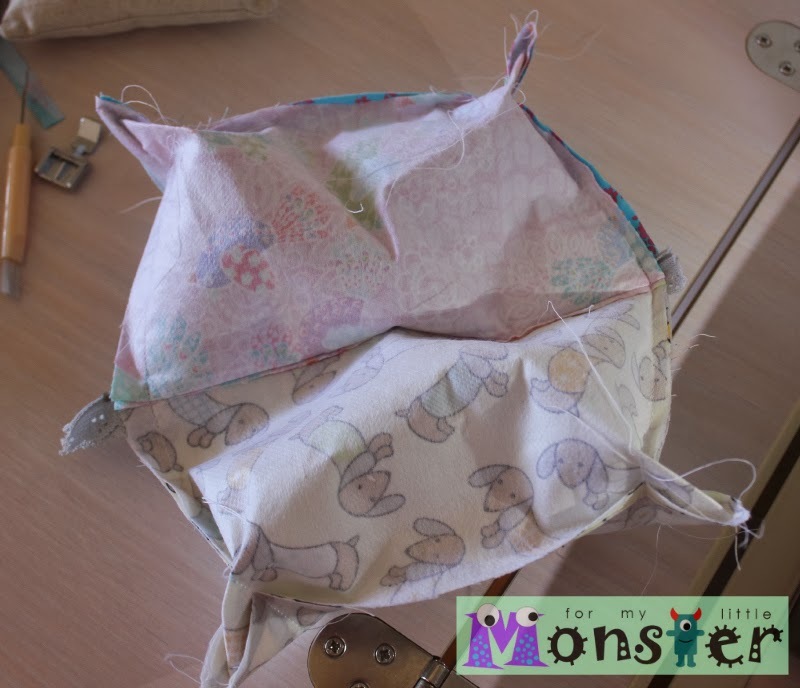 Leave a comment on this blog post with your guess, Boy or Girl, and a link to any item of your choice that you think I absolutely NEED to Buy or Make for the little belly monster. One comment per person and please leave your email address so I can contact you if you win! 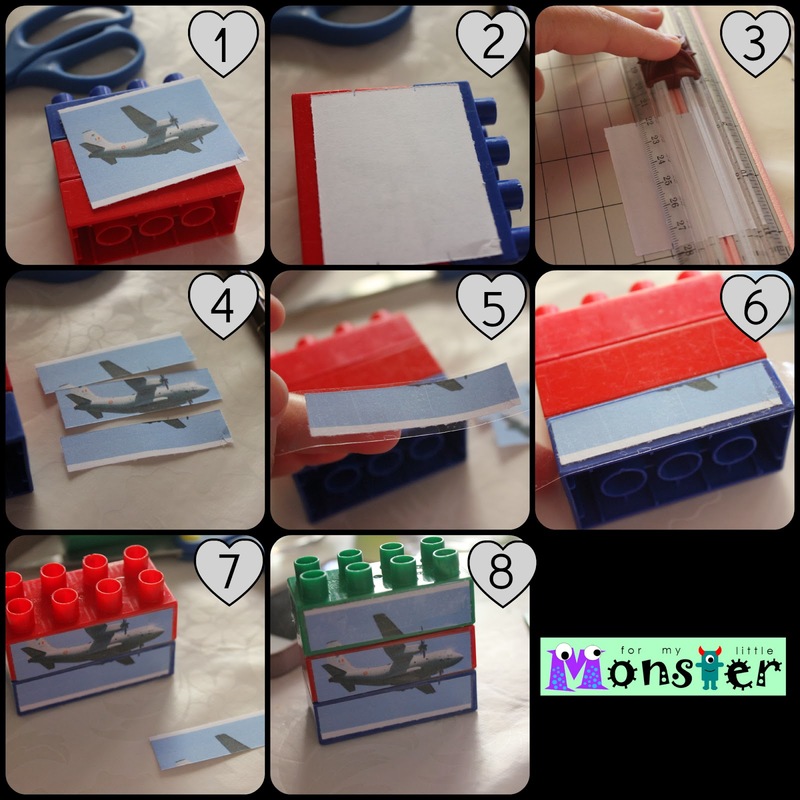 A new little activity for the Little Monster, Transport themed Lego Puzzles, and you can make your own too! A few weeks ago I came across this post while searching for new activities for the little monster. Now, the little monster LOVES lego, and he LOVES puzzles, so what better way to entertain him, that to incorporate both into a fun activity?! I also thought he would find these puzzles a little more challenging as all, except 1, use 3 blocks to make the picture. 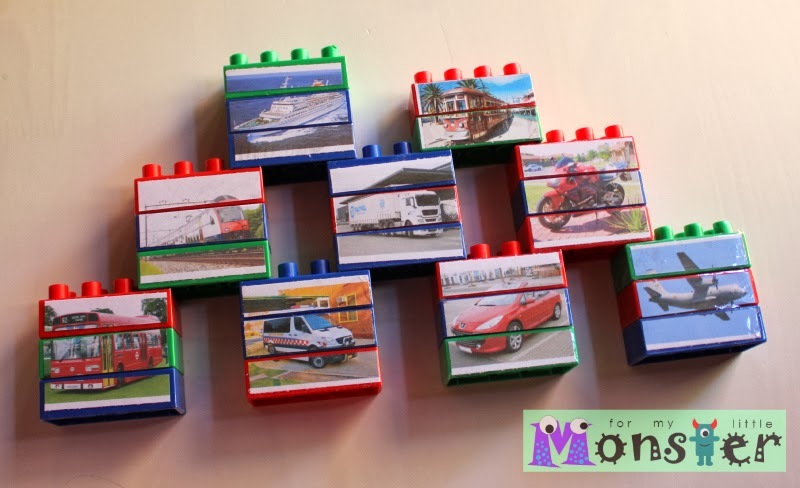 Would you like to make your own transport themed lego puzzle for your little monster to play with? 1. Print out your transport images (downloaded from here), and cut each image out. 2. Choose one image to start with. Turn your image over to the wrong side, and mark with your pen where the breaks in each of the bricks are. 3 and 4. Cut your image on each of the marks. You will now have 3 separate images (or 2 if it is the "tram" image) that make up your transport picture. 5 and 6. Using your sticky tape, stick each image to a separate block. 7. Repeat steps 5 and 6 until all your images are attached to each lego brick. 8. And your finished! Repeat the process for all the other transport images. 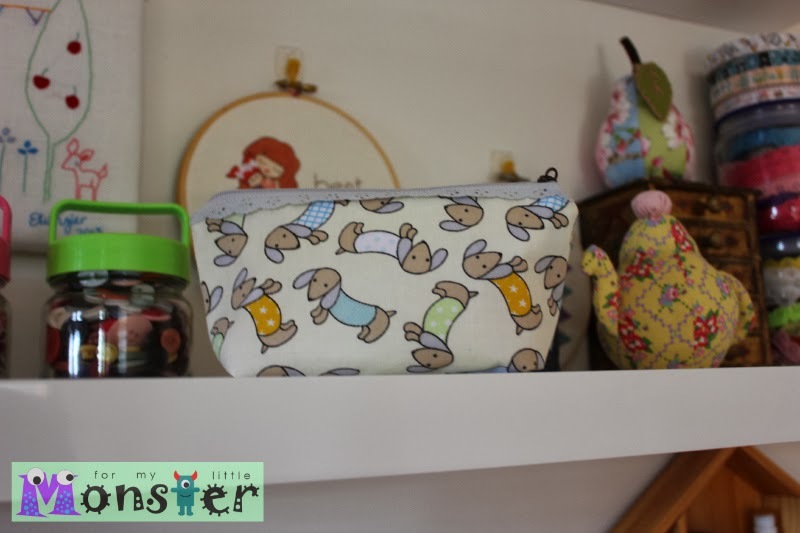 Recently, the sewing machine does not seem to be getting much of a workout - I blame the baby growing in my belly - but for some reason, the other day at nap time, I really wanted and felt like making this pouch. 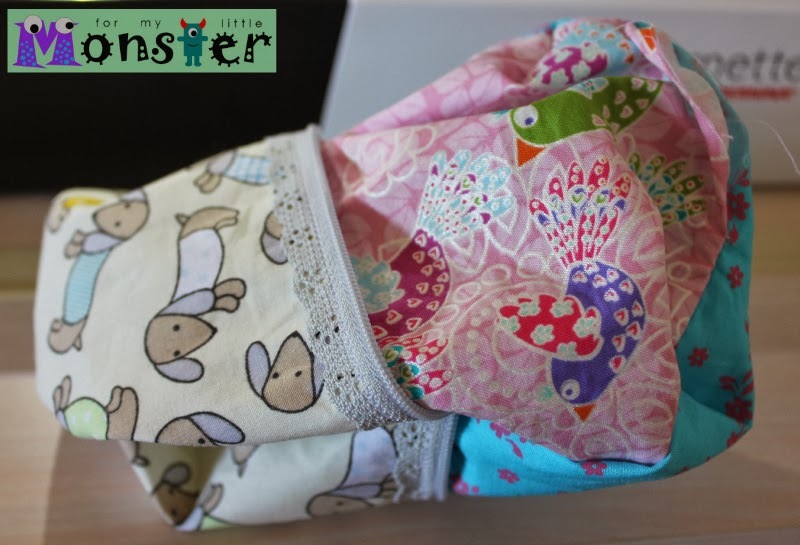 So, I asked the little monster - while he ate his lunch - what colour zipper I should use...he chose grey, and I'm so happy he did as I think it works much better than the other choices I gave him (which were yellow or blue). 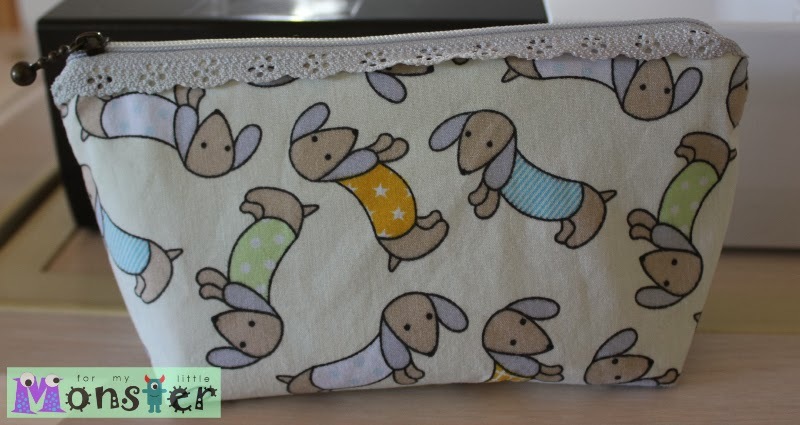 Now, I haven't written a DIY tutorial for my little blog or anyone else's in AGES...so I though I would write this for all those of you that haven't worked with lace zips before - they are so EASY and FUN! 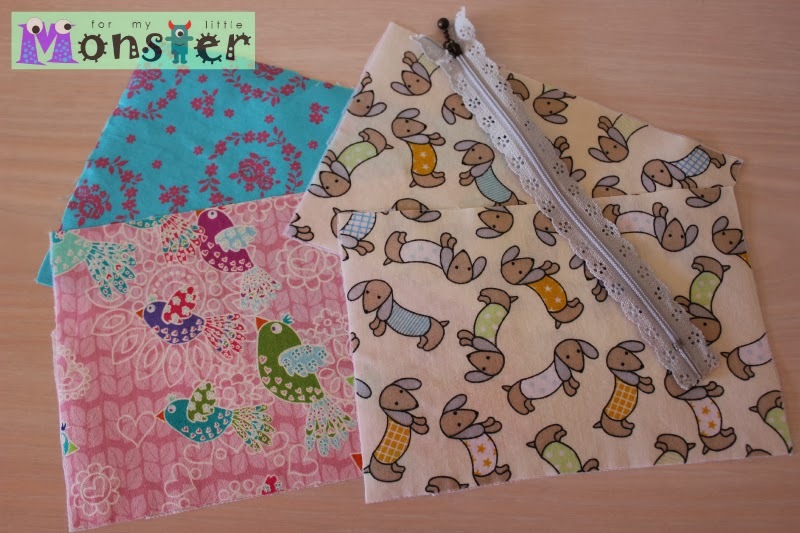 4 pieces of fabric measuring 4.5" x 5.5"
2. 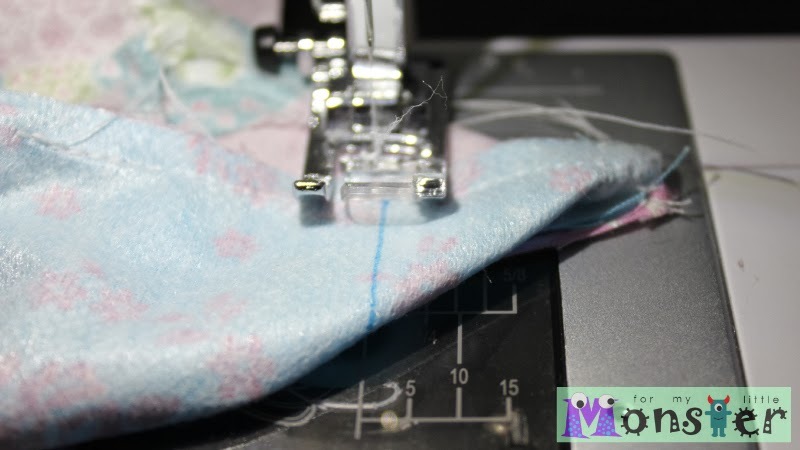 Sew, (right sides together) one of your exterior fabric pieces to one of your lining pieces. Repeat for other exterior and lining piece. 3. Press seems flat, (repeat for remaining fabric pair). 4. 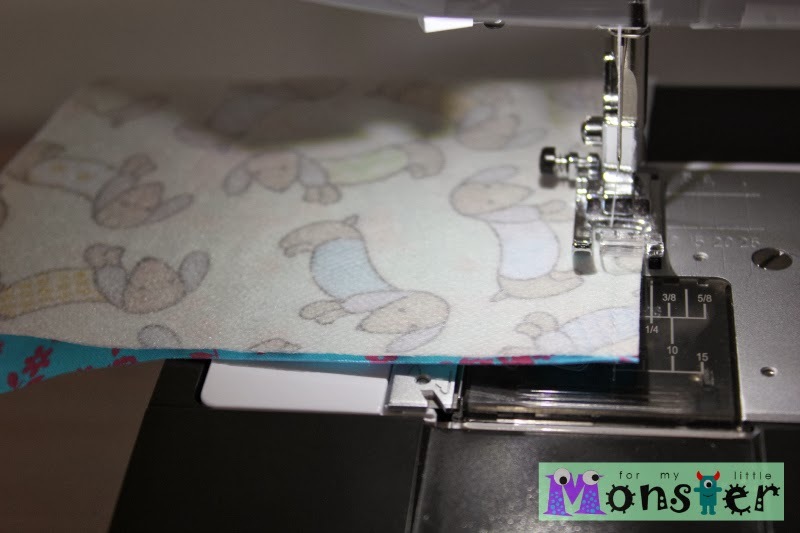 Press fold where the exterior fabric meets the lining fabric, (repeat for remaining fabric pair). 5. 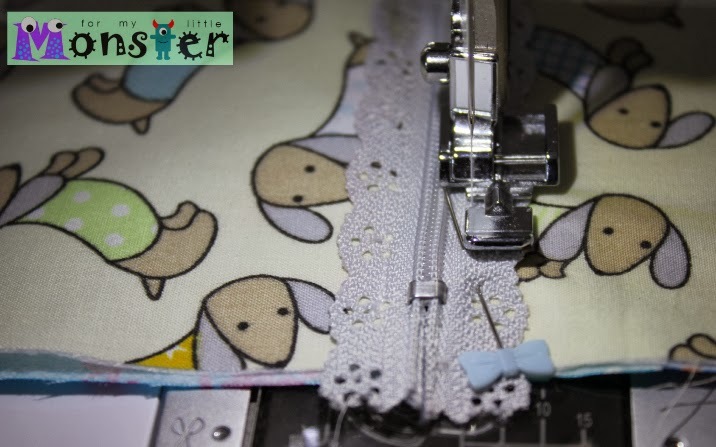 Pin your lace zip to the pressed fold in the fabric on the exterior fabric side (see the picture below). 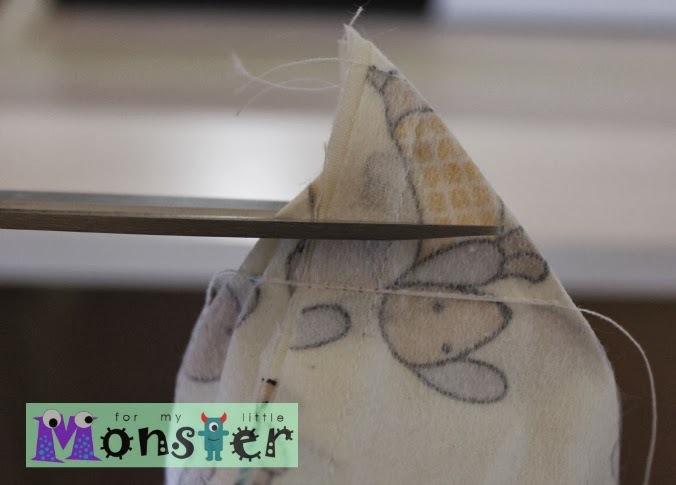 Make sure you don't pin the fabric too close to the teeth of the zipper - or every time you open and close the pouch, your fabric will get caught in the zip. 6. 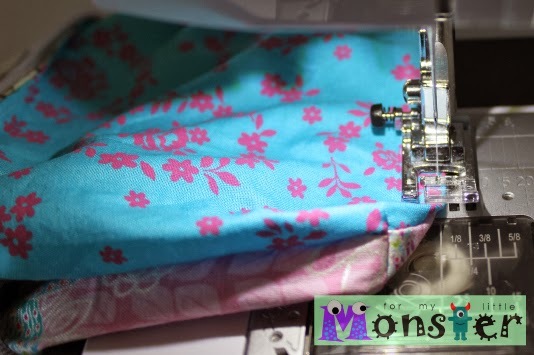 Stitch your zip to the fabric (it is much easier to use a zipper foot on your sewing machine for this step :D) Repeat step 5 and 6 for the other side of the pouch. 7. 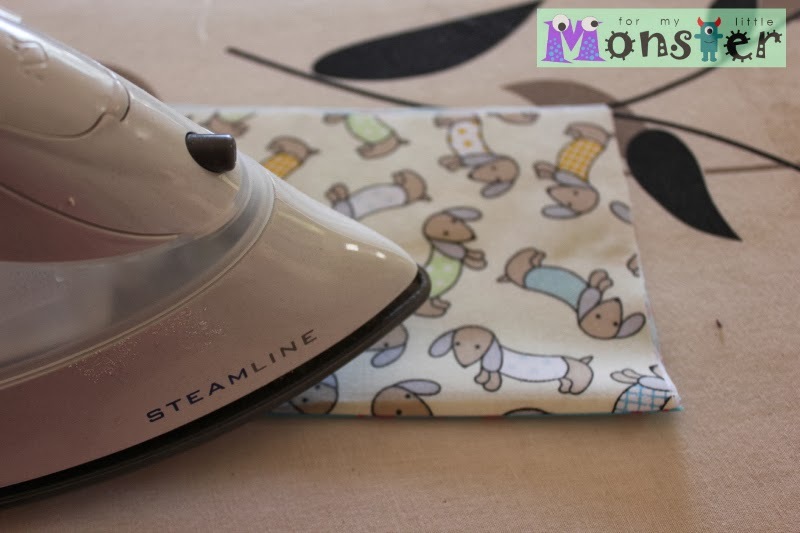 Fold your exterior fabric pieces so that they are right sides facing, and then fold the lining pieces so they are right sides facing, pin and sew (with a 1/4" seam allowance) around the outside edge - leaving a turning gap on the lining fabric side (see image below). 8. 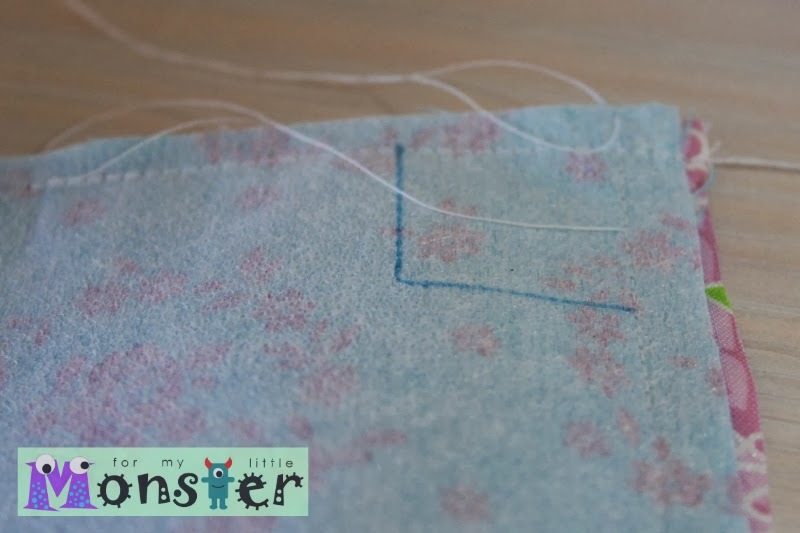 Draw a 1" square in each of the 4 corners on the front and in each of the 4 corners on the back - (use the your stitching lines as a guide). 9. Bend/fold the corners so that the lines from your 1" squares match up (see the picture below). 10. Sew along the line. Repeat step 9 and 10 for all 4 corners. 11. 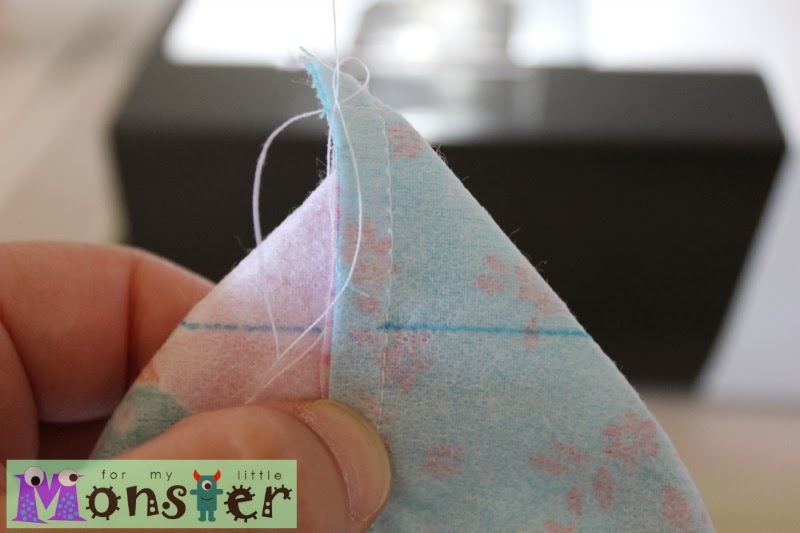 Snip the excess off each of the 4 corners, leaving a 1/4" seam. 12. 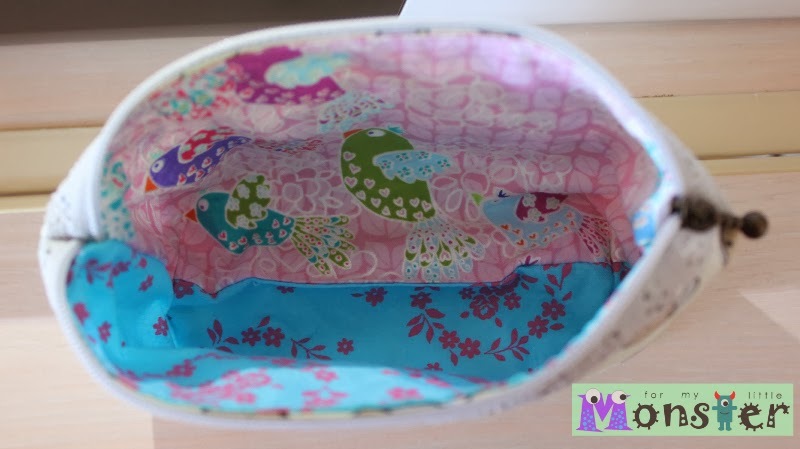 Turn your pouch through the turning gap so that it is right way out. 13. 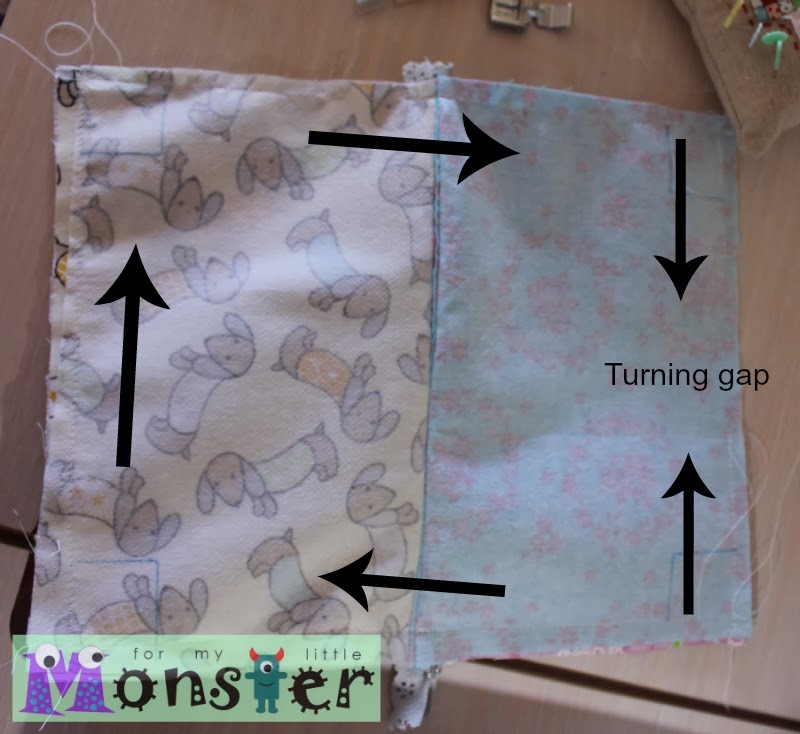 Sew your turning gap closed. See decorative lace zips aren't that hard after all are they?! Thanks and see you all again soon!